We are a friendly club located in Melbourne Victoria. 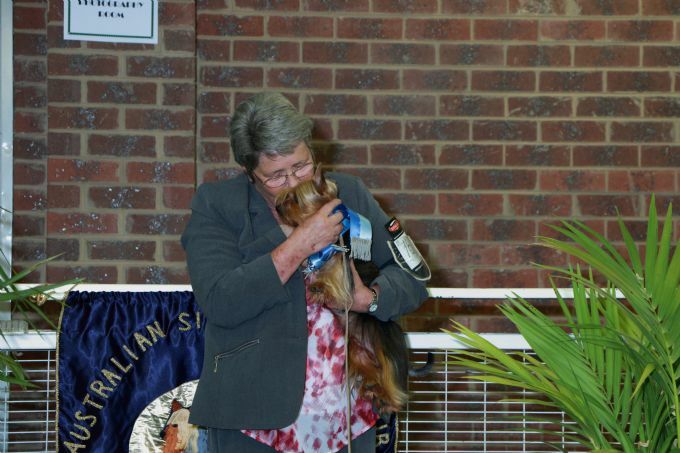 Welcome to the Australian Silky Terrier Club of Victoria Australia Website. Our aim is to promote our wonderful breed. Also to provide information about the breed to potential owners whether considering a Australian Silky Terrier as a pet or a show dog or even as an Agility dog. This website is also a resource for pet owners and exhibitors. We Welcome enquiries about the breed in general. We love to help match people with a special Australian Silky Terrier puppy to share their lives with. On occasion we may have a adult dog available as well. We do not support puppy farms. Please sign our guest book to let us know that you have visited.